Obituary for Eleanor M. (Mahoney) Stoehr | Readshaw Funeral Home, Inc.
Eleanor M. (Mahoney) Stoehr, age 97, of Greentree, passed away peacefully on Sunday January 20, 2019. Beloved wife of the late Sylvester C. Stoehr. Loving mother of Catharine (Bill) Lutz and Sally ( Steven) Pavelka. Cherished Granna of Keira (Tony) McNeill, Gannon Lutz, and Lindsy (Chris) Walker. Proud great grandmother of Kai Lutz, Teaghan and Campbell McNeill, Raelyn and Corbin Walker, and Eleanora Lutz. Daughter of the late Edward and Sarah Mahoney. Sister of the late Catherine (John) Kennedy. 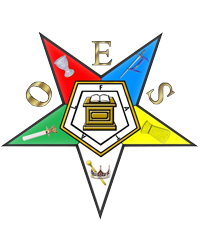 Eleanor was a member of the Order of the Eastern Star, Carrick Chapter # 231. The family would like to thank the caregivers at Bridgeville Rehab and Care Center and Bethany Hospice. A Committal Service will be held on Wednesday, January 30, 2019 at 1:30 PM in the National Cemetery of the Alleghenies 1150 Morgan Road, Bridgeville, Pa 15107. Everyone Please meet at Cemetery. Arrangements entrusted to Readshaw Funeral Home, Inc. 1503 Brownsville Road, Carrick.